Congratulations to all of the athletes and coaches chosen to represent Illinois at the Special Olympics 2014 USA Games! The games are scheduled for June 14-21, 2014, in Princeton, N.J. These individuals will be representing Illinois in the sports of aquatics, athletics, bocce, bowling, golf, artistic gymnastics, powerlifting, volleyball and Unified soccer. This is an honor that requires a commitment by all individuals attending to prepare for the exciting, yet challenging 8-day event. 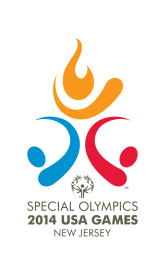 The first mandatory event is the Special Olympics Illinois Processing Day scheduled for Saturday, Nov. 16, at Advocate BroMenn Medical Center in Normal. The processing day will begin at 8:30 a.m. and continue until 2:30 p.m. Because of the limited space, each athlete is limited to bringing 2 individuals with them. These individuals can be parents, guardians or their local coach. Individuals must RSVP to this event no later than Friday, Nov. 8, with Brianna Beers at 847-845-6481. A mandatory training camp for all coaches and athletes is tentatively scheduled for April 4-6, 2014 in Normal. Team members will be required to arrive on Friday evening and stay through mid-afternoon on Sunday. More information will be shared about the training camp at a later date. If you have any questions or concerns about the requirements as a member of the USA Games team, please contact Brianna Beers at 847-845-6481. Congratulations again to the 2014 USA Games Team Illinois!